The SPE Board of Directors meeting was recently held in Cairo. My intent is to share important information with our members after each meeting. As SPE, and the industry, emerge from the downturn, one of the Board’s most important topics of discussion was financial. I am pleased to report that SPE is once again looking healthy financially. The New SPE International App allows you access to SPE anytime, anywhere. It has many great benefits: access to our widely used OnePetro® and PetroWiki® platforms, the latest content from SPE magazines and publications which you can tailor to your preferences, and global networking opportunities through SPE Connect. SPE Asia Pacific (M) Sdn. Bhd. is one of the seven offices of the Society of Petroleum Engineers (SPE) located in Kuala Lumpur, Malaysia providing opportunities for professionals to enhance their technical and professional abilities. Explore your technical knowledge right from your computer with SPE webinars, online training courses, and videos. Join our industry experts as they explore solutions to real problems and discuss trending topics. 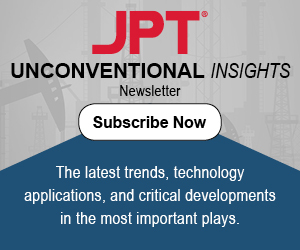 To sign up for the new JPT Unconventional Insights newsletter, please provide your name and email address here. Industry Interviews are 30-minute voice-only dialogues with experts about their personal and professional experiences in the oil and gas industry. Recorded live, but archived and available on-demand, these interviews are ready at your convenience even when you are pressed for time. Expand your opportunities and education by obtaining the SPE Petroleum Engineering Certification or PE license. We have updated the 2013 version of the exam review course with new content and simple navigation. The revised course prepares you for new content recently added to the exam. 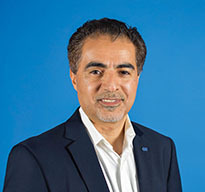 The Society of Petroleum Engineers (SPE) is a not-for-profit professional association whose more than 156,000 members in 154 countries are engaged in oil and gas exploration and production. SPE is a key resource for technical knowledge providing publications, events, training courses, and online resources.